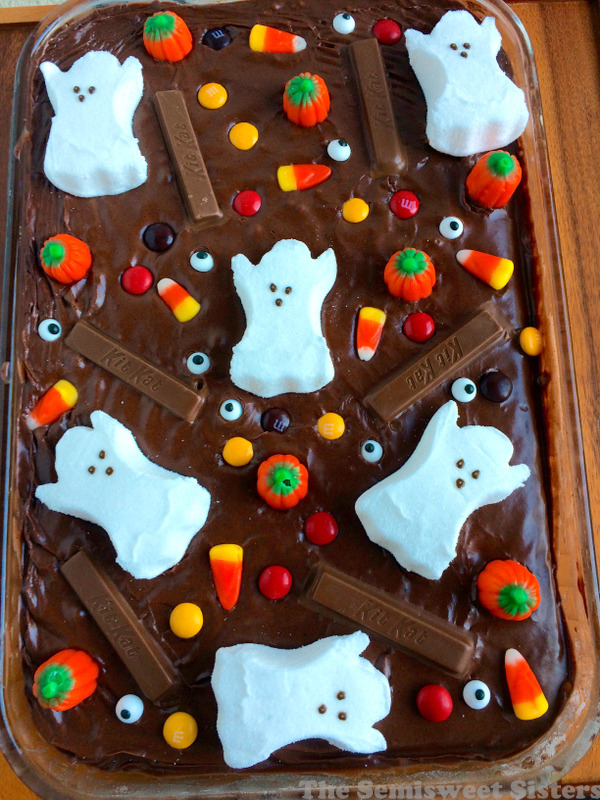 I kept seeing the cute Halloween Bark on Pinterest and thought something similar would look cute on top of a cake. 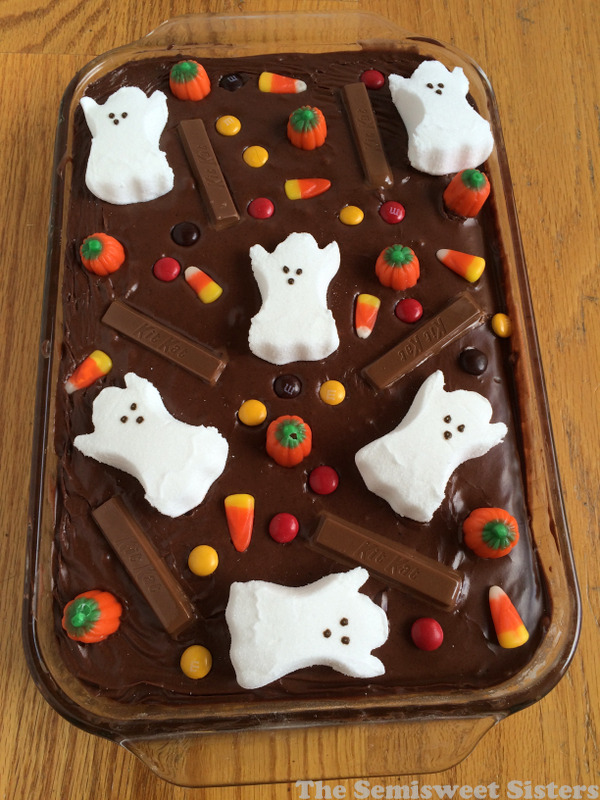 Just take your favorite cake (white, chocolate, box or homemade), make the frosting, let it cool a little bit and add any halloween candy that you like on top. To make the Frosting combine the butter, milk, cocoa, and powdered sugar in a mixing bowl and beat until smooth. Put frosting on the cake when it comes out of the oven so the frosting melts on top. Let cool for 30 mins in the fridge, then add your candy to the top.